Our intern Maria has been with us for several months and is staying for much longer than we anticipated. She’s been working on lots and lots of projects from welcome bags to vendor research to even supporting The Good Beginning. She’s such a big part of our team at BHE that I wanted to give her a place to share her voice with all of you right here on the blog. 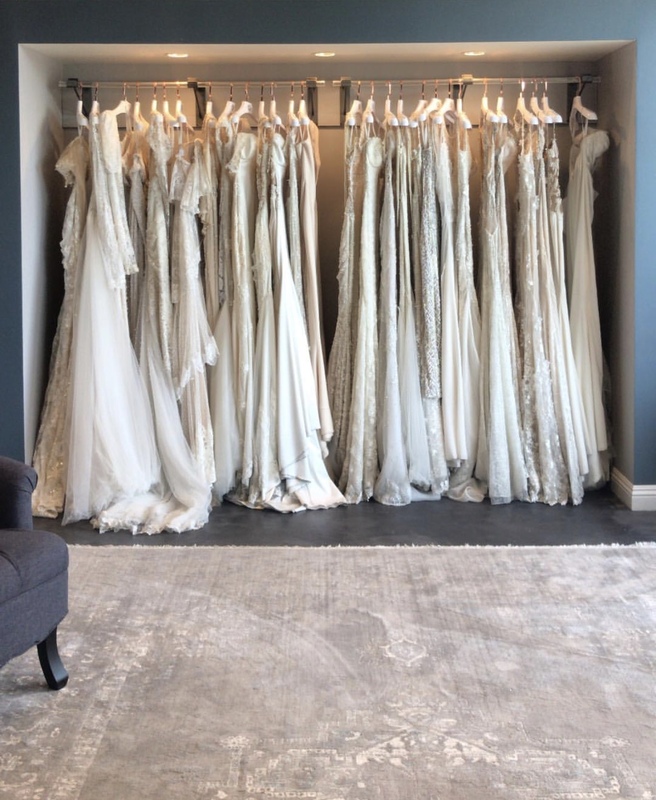 Enjoy her first of many posts on our recent visit to the new Galia Lahav flagship in Los Angeles. If you asked me when I was 16 where I would see myself in 10 years, I would never have thought I’d be here in Los Angeles. I secretly wished for it. And here I am! The opportunities and experience I am getting as an intern here at BHE are beyond incredible, and I still need to pinch myself from time to time to make sure it’s not just a dream. One of my favorite experiences happened a few days ago: A visit to Galia Lahav. Galia Lahav is an Israeli fashion designer, who established the brand Galia Lahav House of Fashion in 1984 in Tel-Aviv. The brand carries two bridal lines: Bridal Couture and Bridal GALA. 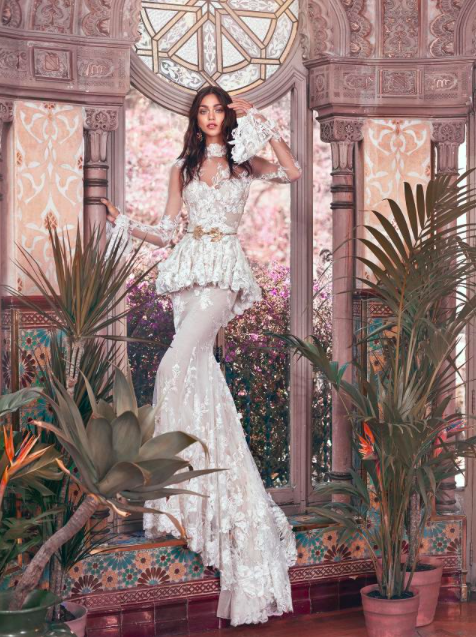 “Whether you choose to be a royal beauty in couture or to embrace your fairytale dream in a GALA creation, each dress is far beyond a product – it’s a story.” – Galia Lahav. Kaila, manager of Galia Lahav Los Angeles, greeted us with the warmest welcome and showed our team at BHE around in their beautiful store while Anthony, a GL stylist, was doing his magic with styling a bride to be. Walking around sparkly dresses, shiny accessories and pearls everywhere. What’s not to love?! As for me, I still haven’t figured out if I want a big “over the moon” kind of wedding or if I want it to be small, simple and delicate. But one thing I do know, is that I want the most amazing dress, no matter what. I want to share the exciting experience with my mom, sister and best friend of trying on beautiful dresses until I get the feeling of “this is the one.” “This is my dress.” So when that day comes, I’m booking an appointment with Galia Lahav for sure. 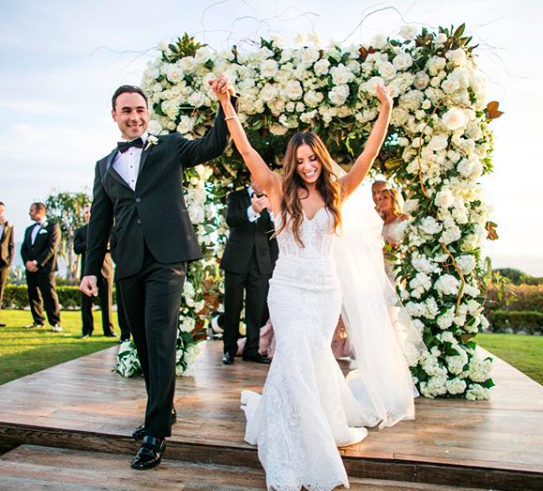 Scroll down to see a few of my favorite gowns, including one worn by a BHE bride, Romy, from her wedding day at Montage Laguna Beach. Oh! And not to mention: how stunning does Jennifer Lopez look in this GL bridal jumpsuit for her performance on NBC’s New Years Eve Show? !